Huffman, J.B., & Hipp, K.K. (2003). Reculturing schools as professional learning communities. Lanham, MD: Scarecrow Press. Hipp, K.K., Huffman, J.B. (2010). Demystifying professional learning communities: School leadership at its best. Lanham, MD: Rowman and Littlefield. Cowan, D., Joyner, S., & Beckwith, S. (2012). 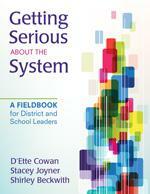 Getting serious about the system: A fieldbook for district and school leaders. Thousand Oaks, CA: Corwin. Cowan, D., Joyner, S., & Beckwith, S. (2012). 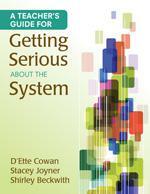 A teacher’s guide for getting serious about the system. Thousand Oaks, CA: Corwin. Harris, A., Jones, M., & Huffman, J. B. (Eds). (2017). Teachers leading educational reform: The power of professional learning communities. London: Routledge.